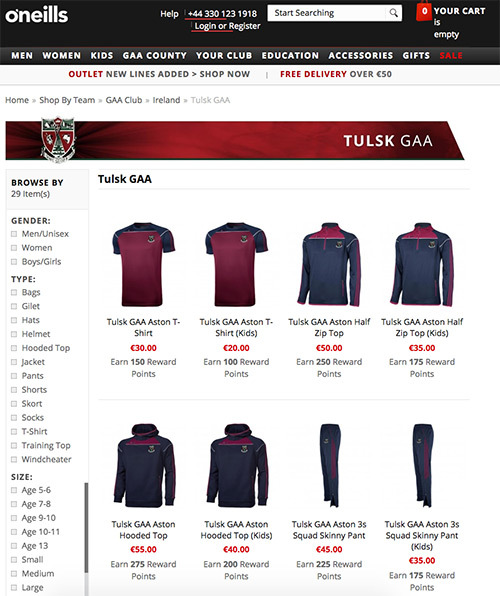 You can now buy all your favourite gear, here on our Club Shop. This is a direct link to O’Neills, our kit supplier. Just select your item and you can have it delivered to your door. All gear will be delivered with the Tulsk Logo and your initials (if you wish).